NEW YORK (AP) — Mel Stottlemyre made his mark on the mound: He started Game 7 of the World Series, earned five championship rings as a pitching coach, wound up with a plaque at Monument Park. But his most enduring impression might have come with the bat — more than a half-century later, he remains the last pitcher to hit an inside-the-park grand slam. 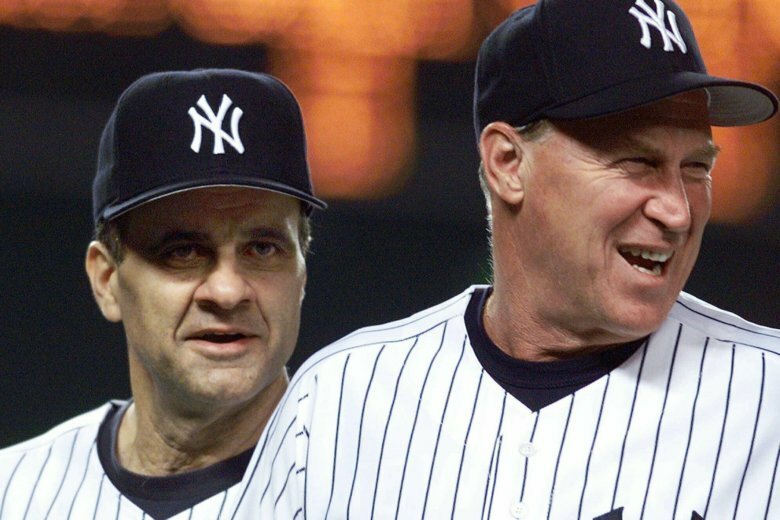 Stottlemyre, the ace who later oversaw stellar staffs for both the New York Yankees and Mets, has died. He was 77. The Yankees said Stottlemyre died Sunday. He had been living in the Seattle area and had multiple myeloma for nearly 20 years. “Mel was more than a pitching coach to me. He was a dear friend. Everything I accomplished in the game was because of him. He taught me so much more than balls and strikes,” former pupil Dwight Gooden said in a statement. A five-time All-Star and three-time 20-game winner, Stottlemyre went 164-139 with a 2.97 ERA in 11 seasons, all with the Yankees. Stottlemyre made his major league debut in August 1964, providing a big boost in the pennant race. The 22-year-old rookie started three times against St. Louis great Bob Gibson in the World Series, eventually losing Game 7 on two days’ rest. The right-hander showed he could excel at the plate, too. He got five hits in a game during his first year. On July 20, 1965, Stottlemyre came up with the bases loaded in the fifth inning against Boston righty Bill Monbouquette. The Red Sox drew in their defense all over the diamond. Instead, Stottlemyre hit a line drive that split left fielder Carl Yastrzemski and center fielder Jim Gosger and kept rolling, well over 450 feet away at spacious Yankee Stadium. Stottlemyre took off, ran around third and slid home as the throw bounced past the catcher. “I guess they thought I was going to bunt to squeeze in a run,” Stottlemyre said after the game. Only one other time has a pitcher hit an inside-the-park grand slam — in 1910, by Deacon Phillippe of Pittsburgh. Stottlemyre went 20-9 that year, completing 18 of his 37 starts, but the Yankees dipped below .500. Coming off a long period of dominance, the Yanks stayed stuck in a tailspin and never again reached the postseason during his playing days. Stottlemyre then moved into the second phase of his career, teaching what he had learned. Working with the likes of Gooden, David Cone and Roger Clemens, Stottlemyre emerged as a top pitching coach. “One of the classiest men I have ever known on or off the field. A wonderful pitching coach and father figure to the young pitchers on our Mets teams in the 1980s,” Ron Darling said in a statement. Stottlemyre oversaw the Mets’ staff that won the 1986 title during a decade in Queens and earned four rings as Yankees manager Joe Torre’s pitching coach during a decade in the Bronx. Stottlemyre also coached with Houston and Seattle. Sons Mel Jr. and Todd both pitched in the majors. Mel Jr. was hired last month as the Miami Marlins’ pitching coach. In 2015, a dozen years after he left the Bronx, Stottlemyre overcame problems from his bone marrow cancer and returned to Yankee Stadium for Old-Timers’ Day. The team had a surprise waiting for him — a plaque in Monument Park. Thrilled at the honor, Stottlemyre spoke to the fans and said, given his health situation, that it could be his last appearance at the ballpark. “If I never get to come to another Old-Timers’ Day, I will take these memories that I have today, and I will start another baseball club, coaching up there whenever they need me,” he told the crowd.